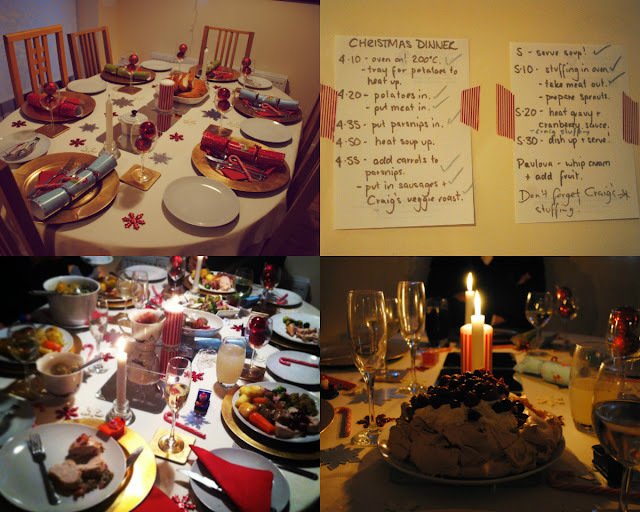 Ever So Juliet | Edinburgh lifestyle blog: Christmas fun! Hello everyone! I hope you all had a very merry Christmas - I had planned to schedule a post to go up yesterday, but my last week has been very, very busy (in a good way!) and this is the first chance I've had to sit down with the laptop. I just wanted to share some photos from our day yesterday... I love this time of year! 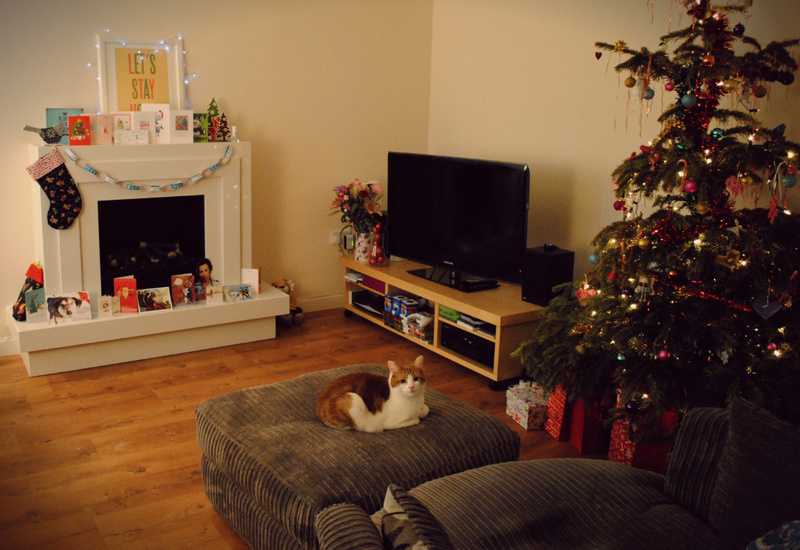 As this was our first Christmas in our new home, earlier this year we very enthusiastically invited my parents & Craig's parents round for Christmas dinner - not worrying about actually making it (or the fact that I had only just started to learn how to cook!). So I think it's fair to say I was a wee bit nervous about cooking a massive meal for six people, but I really shouldn't have been! We had a really lazy morning (opened presents then watched the Muppets - perfect! ), and I started prepping food around 3pm. I cheated for a lot of it (ready made cranberry sauce, turkey crowns instead of a full bird, etc) so my main mission was just making sure everything was cooked, hot and on plates at the same time! I ended up serving food 14 minutes behind my "official schedule" (ha) but I think I did good! Everyone seemed very happy, plates were cleared & my mum said that it was the best turkey she had ever tasted (!!!) - high praise from my mum, the best cook I know! I'm a much more confident baker than cook, so I couldn't resist making some sweet treats too! I made some Christmassy cupcakes (this recipe plus decorating inspiration from the Lily Pink bakery!) 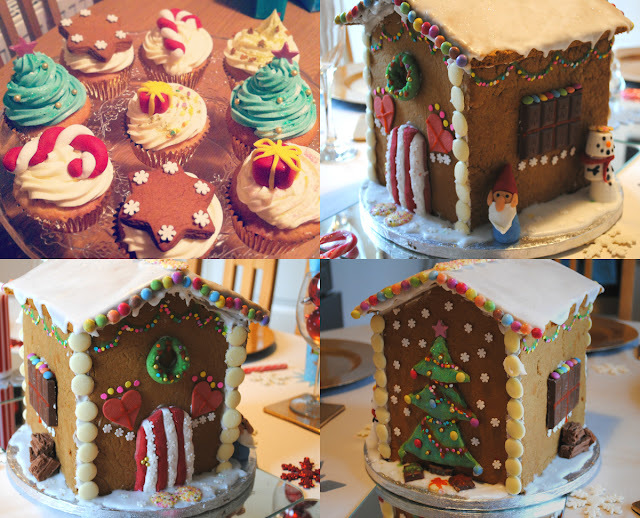 and a gingerbread house (this recipe plus tonnes and tonnes of sweets!). It took ages to decorate the gingerbread house because I'm a bit of a sweet perfectionist, but I really love how it turned out! Today I've just been chilling out with Craig - Christmas is for spending time with the ones you love, and I am doing really well on that front so far! That gingerbread house in a amazing. Looks like you had a fantastic day. Merry Christmas. Thank you! Hope you had a great Christmas too!